Millie began her career at Bear Stearns New York, where she received her title as Vice President of the Latin American Division. She was responsible for servicing high net worth Latin American investors and implementing investment portfolios for fifteen years. 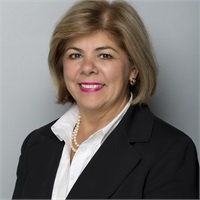 Millie later moved to Miami, FL in 1995 and joined soon after the Alvaro Castillo team as a Financial Consultant with Oppenheimer & Co. In 2001, she joined Salomon Smith Barney as a Registered Marketing Associate with the Alvaro Castillo group. Since 2006, Millie has been the Vice President of Operations at Loyola Asset Management. She is responsible for the trading and operations for the firm. Millie was born in the Dominican Republic and later raised in New York City. She earned a Bachelors of Science from the College of New Rochelle in New York. Millie holds the Series 7, 66, and 24 licenses.